Let's start this off by stating the obvious: the majority of anime fans groan upon hearing about a new Western adaptation of any anime or manga, and who can blame them? We've been given the likes of Netflix's Death Note that butchered the series' iconic characters until they were unrecognisable; albeit visually stunning, Ghost in the Shell failed to capture what made the original a cult sensation; and Dragonball Evolution was an atrocity that needs its own article series to discuss everything wrong with it. Although Edge of Tomorrow is arguably the best anime/manga to live-action movie Hollywood has made to date, it underperformed at the box office, so it's hard to say it was super successful. I want to be optimistic about a live-action Boku no Hero Academia film: superhero movies are in vogue right now and the series is partially influenced by Western popular culture, so it may just work. However, Hollywood's track record speaks for itself. A live-action Hollywood film for Shingeki no Kyojin was also announced within the same week, and while that may have its own issues, it's less problematic for a myriad of reasons. The series isn't based in a real-world location, all hair colours and human character designs are natural, the action is less intricate in comparison, and it has a pre-existing Japanese live-action film to learn what worked and what didn't. Yet, strangely, when I ran a Facebook post that asked which movie followers thought would be a bigger disaster, it was overwhelmingly Shingeki no Kyojin. But when you compare the details, Boku no Hero Academia is far more likely to fail on the journey to the Hollywood silver screen. One follower commented, "BNHA is literally Sky High as long as the script is fine it shouldn't be that bad" and another "Absolutely Attack on Titan. It just has more odds against it. BnHA is just a superhero show, Hollywood is good at that... Titans though..." This just simply isn't the case. Boku no Hero Academia is a very different kind of superhero franchise from the kind that Hollywood has produced based on Western comics. Here's why a Western live-action adaptation of Boku no Hero Academia is far more problematic than it may initially seem, and what to be aware of when measuring your expectations. Quirky characters in more ways than one. This is the most problematic part of adapting Boku no Hero Academia to live-action. This is a comic universe filled with an array of extraordinary body shapes and quirks, varying in extremity. In Class 1-A alone, we have Tokoyami, Ashido, Asui, and Shoji with abnormal appearances. Even if the film remains faithful to these designs, it will likely become a gross overuse of CGI. When you compare the colourful cast of Boku no Hero Academia to a close Western comparison such as the X-Men, body types are a major difference: characters with abnormal bodies are fairly simple in the Marvel universe, whereas Boku no Hero Academia's characters are far more eccentric. Because of course, Marvel comics are drawn in a realistic style, compared to the exaggerated features of manga that tend to look awkward in real life. The same difficulty in conversion also goes even for more basic elements such as the wacky colours that are a standard for anime. Will Deku still have messy green hair? Will Ashido still have bright pink skin and black eyes? Will Mineta still only come up to the waistline of his classmates? This hasn't really been a problem for Hollywood adaptations of anime until now since the characters of Death Note, Ghost in the Shell, Dragon Ball, and Shingeki no Kyojin are mostly standard humans and have natural hair colours. 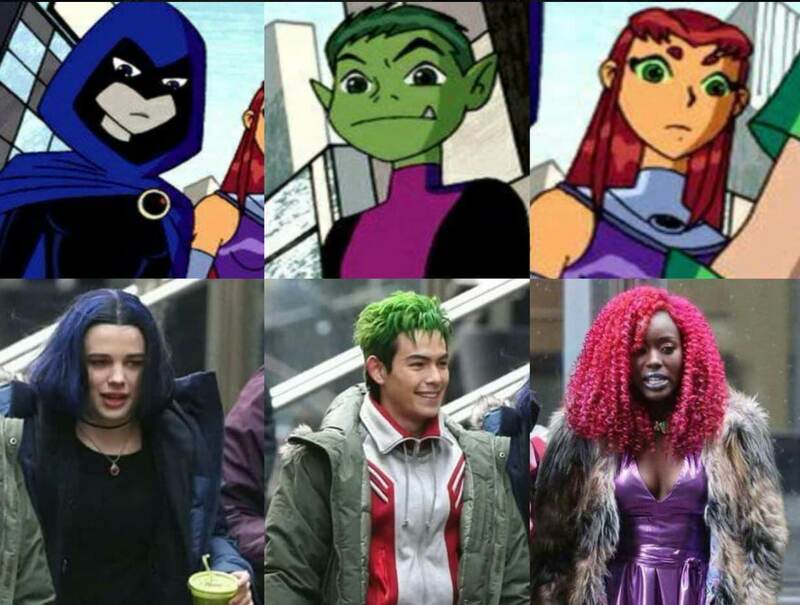 Even if they try to match the hair and skin tone of Boku no Hero Academia's characters, it may end up looking horribly artificial like the hair and makeup in Titans which was released earlier this year, but worse. If they instead choose to naturalise the characters, it will only lead to outcry from fans because the design and quirks of these characters are such a central part of their identities. It's almost a lose-lose scenario. Let's say that they nail the visuals: it won't necessarily translate to success. Ghost in the Shell was nominated for and won some awards for colour grading and visual effects, but it didn't even come close to making a profit on its US$110 million budget. And there are still many other factors that could let down this film. 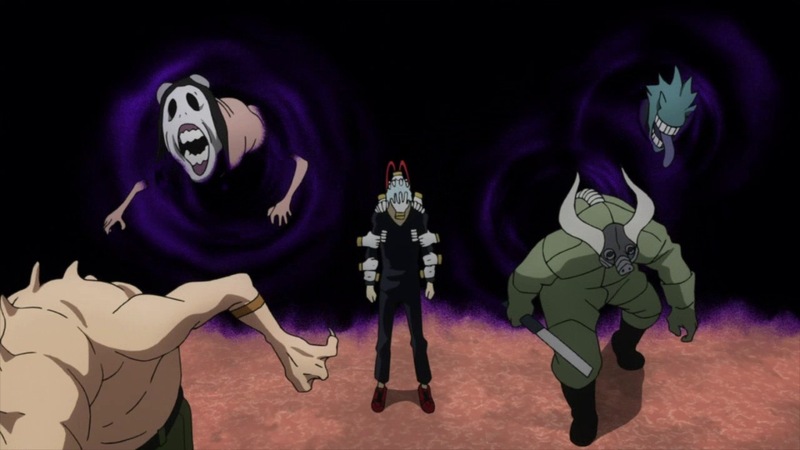 The League of Villains' attack on USJ at the end of season 1. Hollywood will somehow need to fit a satisfying amount of Boku no Hero Academia's story into a 2 hour period, roughly speaking. Although a film adaptation of a series into a movie is a universal problem in Hollywood, it's a different situation for manga because they're more continuous and not as cleanly cut as Western novels. Even the Marvel and DC comics that Hollywood superhero movies are adapted from are contained stories that are easier to adapt. The first half of the movie will likely be very straight-forward: we're shown Midoriya meeting and receiving his powers from All Might, making it through U.A. 's entrance exam, then being subjected to the Quirk Apprehension Test. But then what? The Battle Trial Arc where Midoriya and Uraraka take on Bakugou and Iida would hardly be worthy of an ending, so it would be natural to assume that the Unforeseen Simulation Joint (USJ) Arc would be the climax. However, there are still two problematic questions here: will there be enough runtime to adequately capture enough of the story, and how will the film have a satisfying ending? 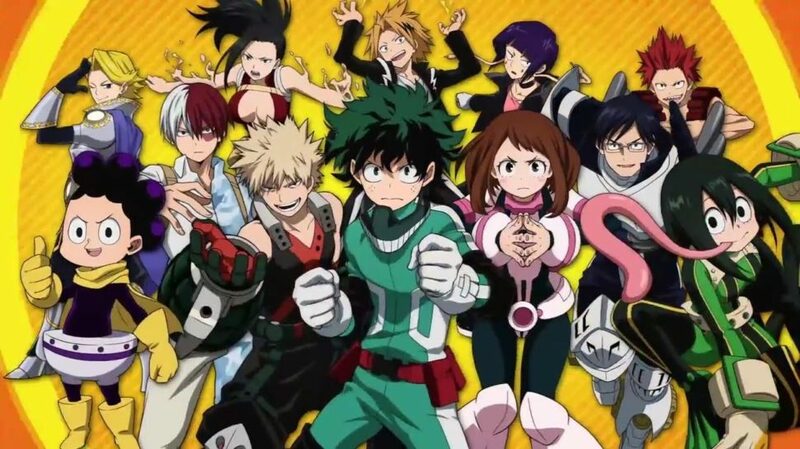 The USJ Arc is a turning point for the series and its characters: Class 1-A and the audience are introduced to the real world of heroes and villains. Leaving it at that point in the story or foregoing this moment would not only let down the original series but the narrative of the movie as well. It's hard to predict these sort of things when it comes to adaptations, but it's still a very worrying factor. Of course, Hollywood does have the option of modifying the story or doing something original, but that would only lead to crucifixion by fans of the franchise. 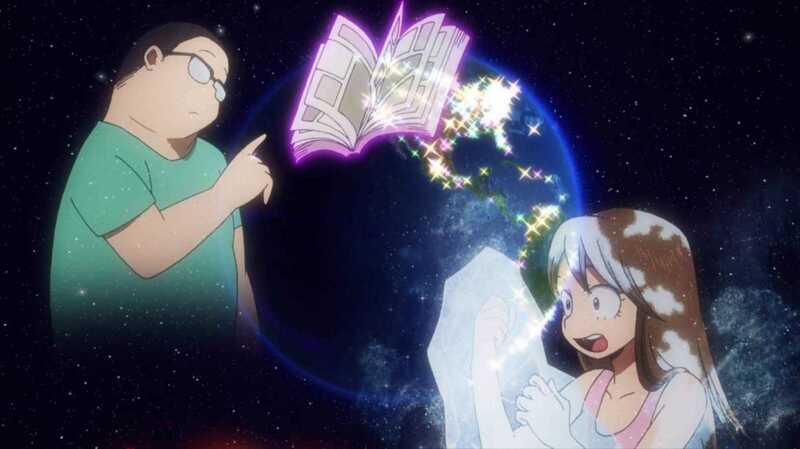 Where in the world will Midoriya's story take place? Creating a movie or TV series for a Western audience that's based in a modern non-Western location is always tricky, and casting is the major problem. If the setting of the movie is kept in Japan, the cast should logically be mostly Asian. Otherwise, there will be the outcries of whitewashing that were directed at Scarlett Johansson in Ghost in the Shell. But because this is going to be primarily made for Western viewers, this likely wouldn't sit well with audiences since they expect Western actors. In the case of Netflix's Death Note, the film was re-contextualised to an American setting which was actually one of the elements that worked since the setting of Japan was not a compulsory element of the story. This meant that having characters that weren't Asian were permissible. But to be fair, the casting turned Light Yagami from a calm, handsome honour student to a weak, panicky tween; an antithesis of Kira's alter-ego. However, aside from irritating purist fans, changing the setting of Boku no Hero Academia to the United States has its own problems. The series places an emphasis on being based in Japanese society and a Japanese school system. This would also make the characterisation of All Might as a Western-style superhero with moves named after American locations, who also went abroad to study in the United States in his youth, a blatant paradox. And if it's not based in Japan, then why does almost every character have a Japanese name? Changing them to be Westernised would be absolute suicide in itself, let alone changing character designs or the story. It's another lose-lose scenario. To reiterate an earlier point, this isn't an issue for Shingeki no Kyojin because it's based in a fictional location with characters that have Germanic names. All Might delivers a flashy, powerful blow to Noumu at USJ. In response to the Facebook post I mentioned earlier, many said that the massive fights against titans while zooming around on ODM gear would be more difficult and likely to be uglier. However, I think that won't be the case. Having characters flying around is very easy to do from a visual effects standpoint and has been done before in the likes of Spider-Man movies, and titans have simplistic designs that would be easy to create and animate. At its core, action sequences in Shingeki no Kyojin are realistic with the same simplistic mechanic, and the enemies the characters face follow a basic formula. In the case of Boku no Hero Academia, there are a diverse set of powers and enemies that require a lot of calibration and technical work. You have Mineta throwing "balls of hair," Aoyama firing a laser from his pelvis, Sero shooting out tape from his elbow, etc. And that's just Class 1-A. The slime villain from the very first episode of the anime is more difficult enough in itself. 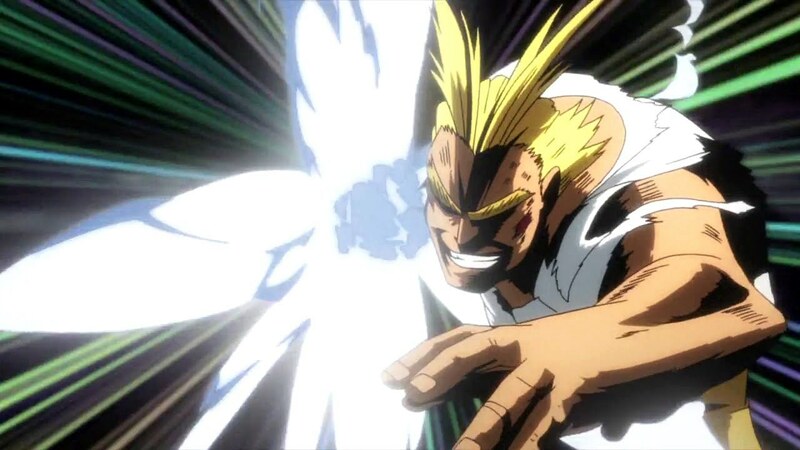 All Might's fight with Noumu in the USJ Arc is another part to keep in mind. At its climax, they are exchanging hundreds of blows at supersonic speed unlike what is seen even in Hollywood superhero action films. Not even Superman punches like that in quick succession. These abilities being used in action sequences are natural in anime form, but the conversion to live-action may come off as comical or tacky (I'm losing sleep over how they're going to do Mineta). Whether or not action sequences are done well may come down to whatever budget Legendary Pictures is willing to give the movie, not only how it's directed. There are a lot of ifs in this article since we know just about nothing about the movie, and I only highlight some of the things that can easily go wrong. However, no matter how you look at, it will be much harder to adapt Boku no Hero Academia to live-action effectively than Shingeki no Kyojin and Western comic properties. As fans and non-fans alike, it's important to keep all expectations in check, whether they be optimistic or pessimistic. So stop writing news articles about what they have to say about it.